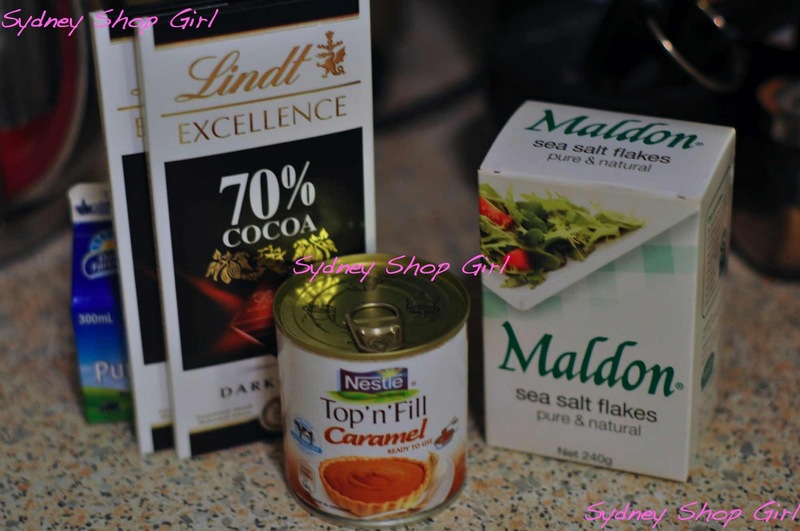 Sydney Shop Girl: Wednesday's Bits and Pieces. Wherever you may be right now, I hope you're safe and dry. The weather over east is crazy right now and I hear that there is some flooding already in Melbourne. I don't know how any finals football is going to be played at the rate we're going. It will probably be all mud wrestling if the games do go ahead. I hear that Meatloaf himself will be singing at the AFL grand final. I'll admit it, I'll be singing along at home, karaoke style. Has this week been dragging by for you? Do you reckon it's because it's been a week of counting down? To the long weekend? To a weekend of sport? To the end of the last single digit month before the first double digit month of the year? The choice is yours. Anwyway. We're well and truly past Wednesday and we're on the home stretch. I don't think I could have gotten to the home stretch before the long weekend without some quality instant coffee on hand. Some might say that this is a contradiction in terms but I have this thing about instant coffee at work. It always seems to taste so much better than I expect it to. My morning commute technically ends with that first cup of instant in the morning and not 10 minutes earlier in the car park. 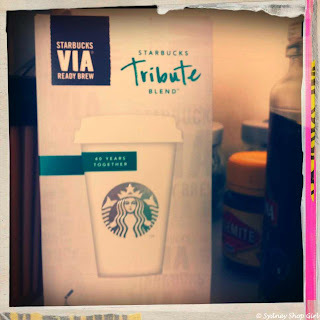 The Starbucks instant coffee sachets were from my trip to Hawaii in May. I like them because they have that filter coffee taste that always brings a smile to my face because it reminds me of holidays to the US where cheap cups of coffee could be bought almost anywhere that other things were being sold. Buying those cups of coffee was always an adventure in people watching and an excuse to browse the entire contents of the store that was selling the coffee. I'm getting all misty eyed about American holidays just with these memories. 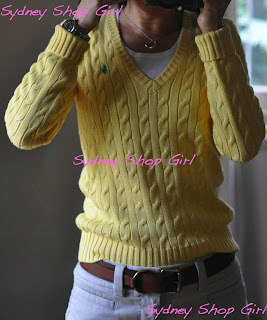 Today I even wore an entire outift based on things I've bought on my travels to Hawaii and New York. Sweater - Ralph Lauren outlet in Hawaii, belt and chinos GAP in NYC, T - Emerson @ Big W.
Mr SSG and I are trying to work out when we can next visit. I'd love to return in the Northen Hemisphere summer. Not only to escape winter in Australia for a few weeks but because travel to me is more fun in the summer. The long daylight hours, the freedom of lighter clothing, endless hours by the pool or the beach and coming home with a tan - they are my ingredients for a perfect getaway. 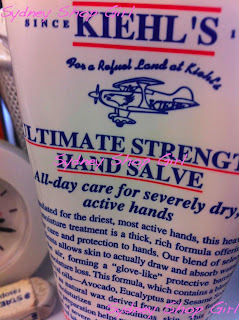 My next big holiday isn't until December so I'll have to be content with gazing at the Kiehl's aeroplane logo that graces the tube of hand cream on my desk. One of the casualties of the change in weather is the skin of my hands. They are so dry these days. Even after spending the night in a thick layer of Vaseline under cotton gloves. 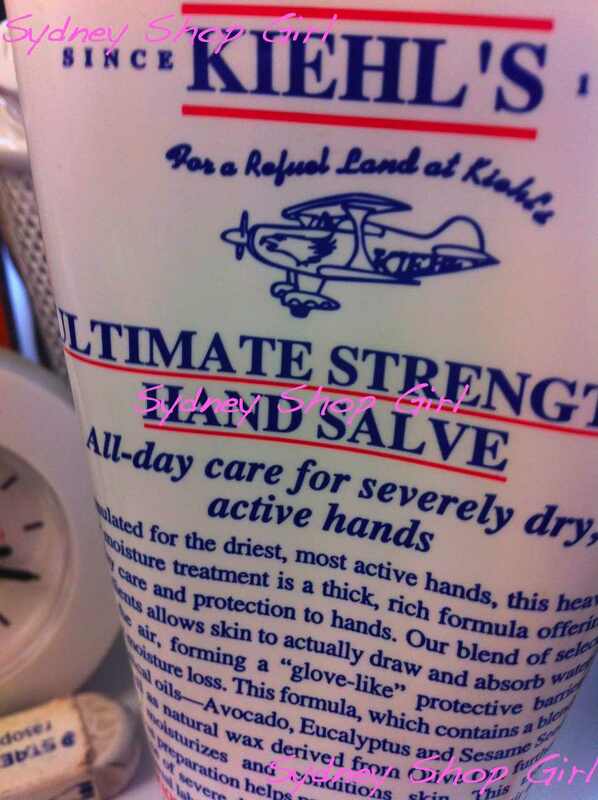 I've been using Ultimate Strength Hand Salve like it's going out of fashion. I'm on a bit of a baking frenzy at the moment. We're having a little afternoon tea on Friday at work and I'm getting started early with my contribution. I love a good make ahead dessert and the salted caramel tart recipe from the September 2011 edition of Super Food Ideas is definitely a recipe that ticks all my boxes. The problem with it though is that the ingredients taste so good on their own. Would there be any Top'N'Fill left for the tart once I started 'taste testing it'? 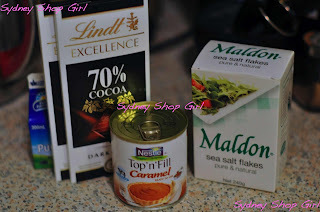 And ditto for the chocolate ganache? Cream and dark chocolate melted together? They don't stand a chance with me. All will be revealed in tomorrow's post. Right now, I'm off to wait for Glee to start. I have a late start at work tomorrow and it feels like a Friday night to me. I thought I'm the only one wearing gloves after putting vaseline? Your hand must be extremely dry like mine!